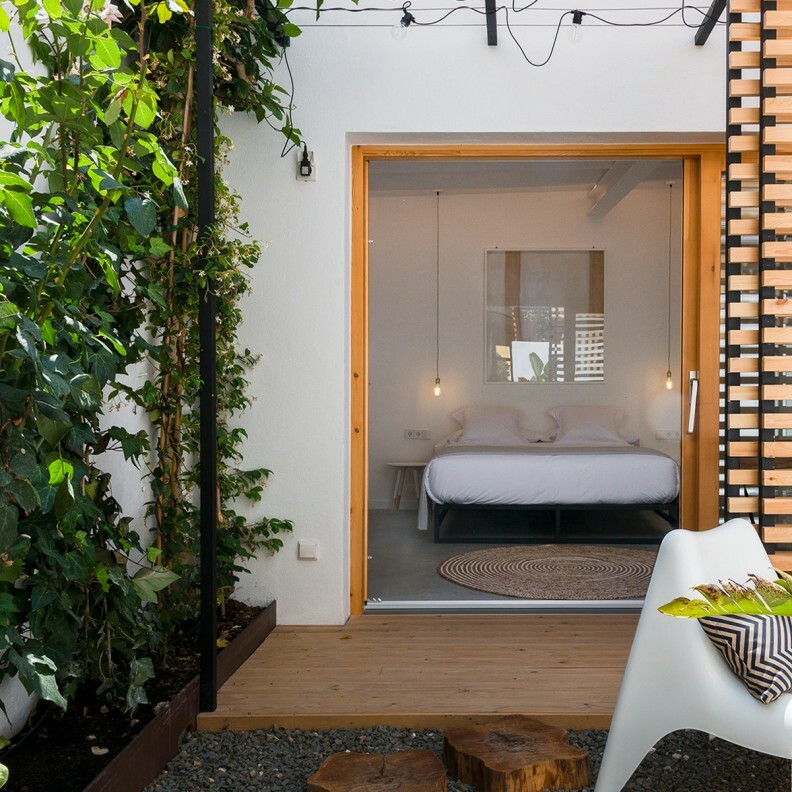 Each of the six rooms in this boutique hotel is a mini oasis, offering you the utmost privacy to unwind in either your room or outdoors on a private balcony/patio. With a silver aspect, Caesium is the most reactive of metals. It was discovered by Bunsen and Kirchhoff in 1860. This room is the lightest and open plan. 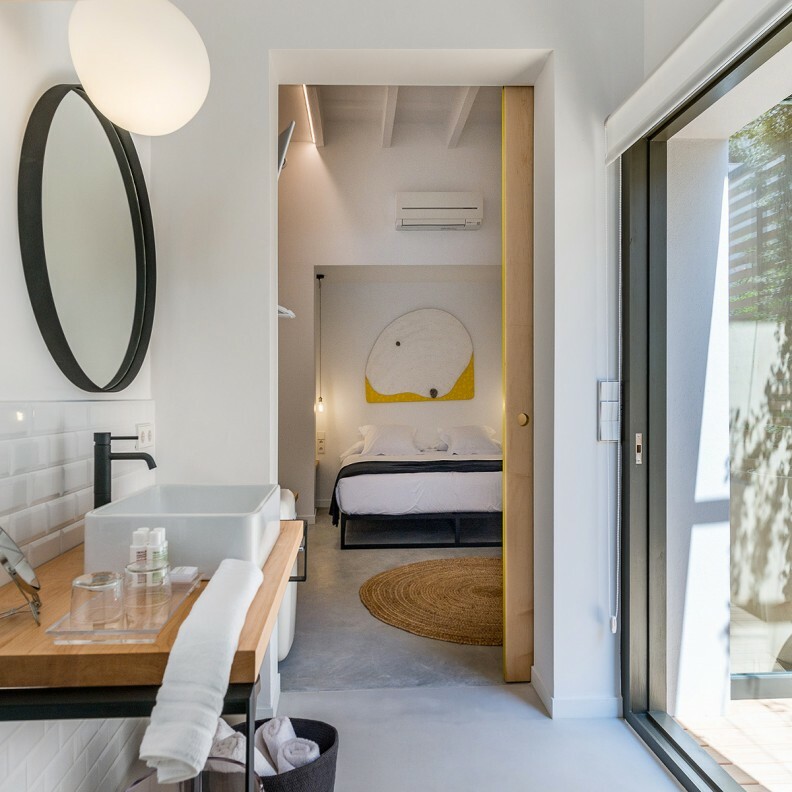 Located on the ground floor of the hotel, it measures 20 sq meters, and a large glass sliding door opens out onto an outdoor patio with its own table and chairs for exclusive use. Discovered in 1817 by the Swedish chemist Johan August Arfwedson, Lithium is the lightest solid element in the world, with a very special silver look that loses its lustre when it is wet. Room number LI3 is also solid and light. Located on the ground floor of the hotel, it measures 20 sq meters, with an exclusive spacious terrace/sundeck. Potassium is essential for life. The famous British chemist and inventor Sir Humphry Davy discovered this alkali metal in 1807 and nowadays it is of huge importance in agriculture and fertiliser production. 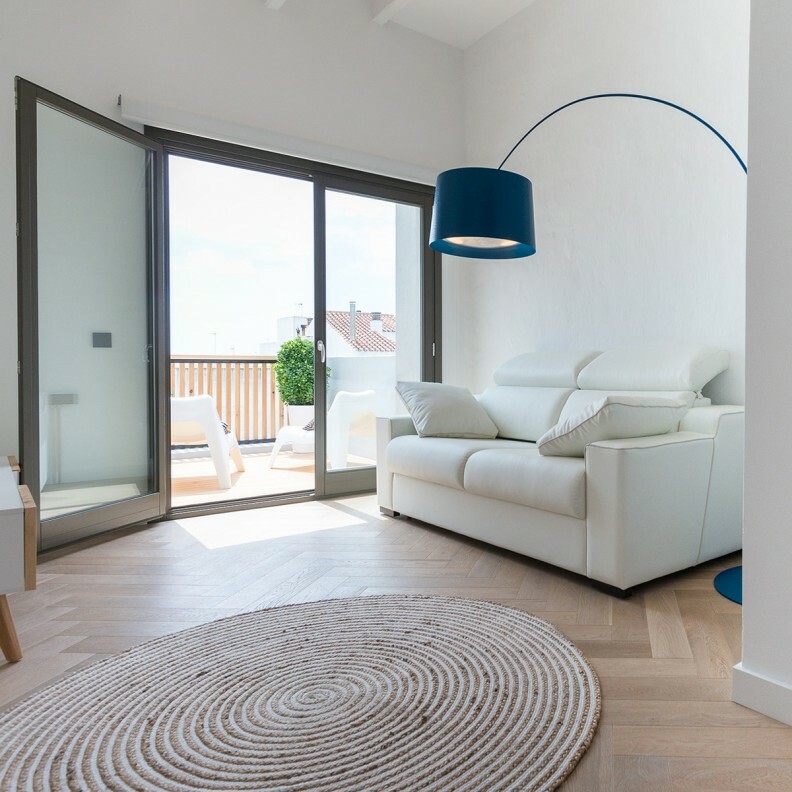 This double bedroom has the finest views of the city from its balcony, from where you can watch the flurry of passers-by on the Contramurada, and those relaxing with a drink in the open-air café terraces of the square Plaza de Artrutx. The room retains its beautiful original mosaic-tiled floor. Francium is the second rarest element on earth and was the last to be discovered. This was in 1939 by Marguerite Perrey at the Curie Laboratory in Paris. Highly radioactive, it is only used for experiments and research. 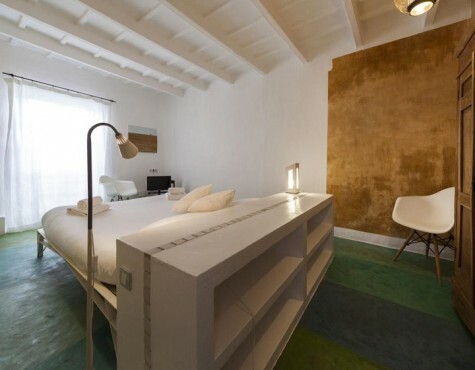 Our Francio suite measures 35 square meters, comprising a bedroom and a living room with a sofa bed. Enjoy maximum comfort and space to read, calmly plan the day ahead or just take a break and relax. Located on the first floor, it boasts a private balcony on the back of the building. Rubidium was discovered in 1861 by the Germans Robert Bunsen and Gustav Kirchhoff, and its name comes from the Latin meaning for “deep red”. Among other things, it is used to give the colour purple in fireworks. Our Rubidio bedroom has exceptional features. 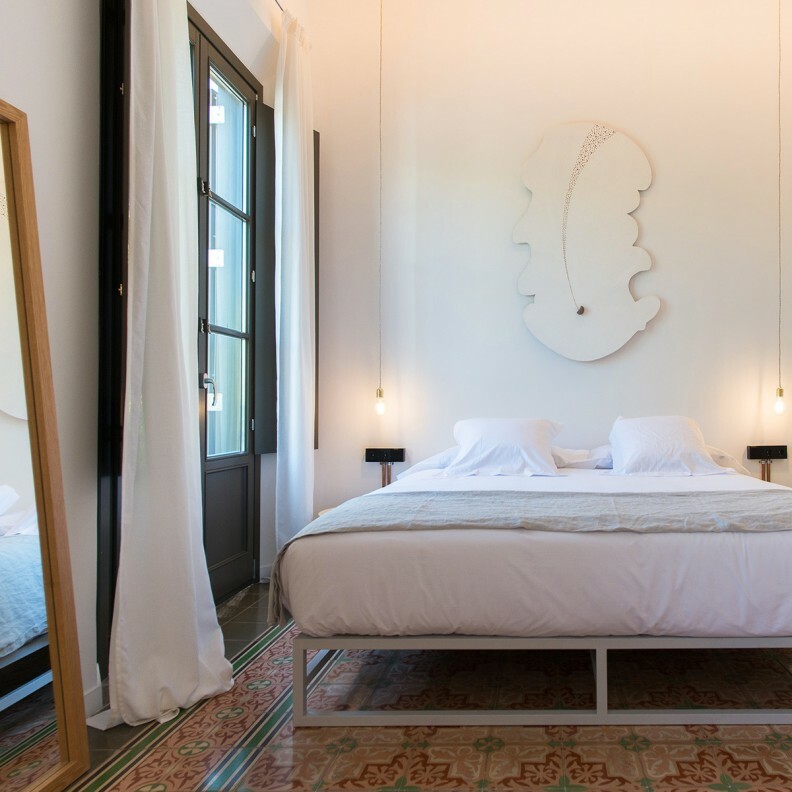 Apart from the 20 square meter bedroom with a parquet floor, you have exclusive access to a private terrace right on top of the building, from where you can gaze at the city’s silhouette and the stunning blue sea that surrounds the island. Sodium is the sixth most abundant element on the planet and a vital component. It is believed to have been discovered by the chemist Sir Humphry Davy in 1807. 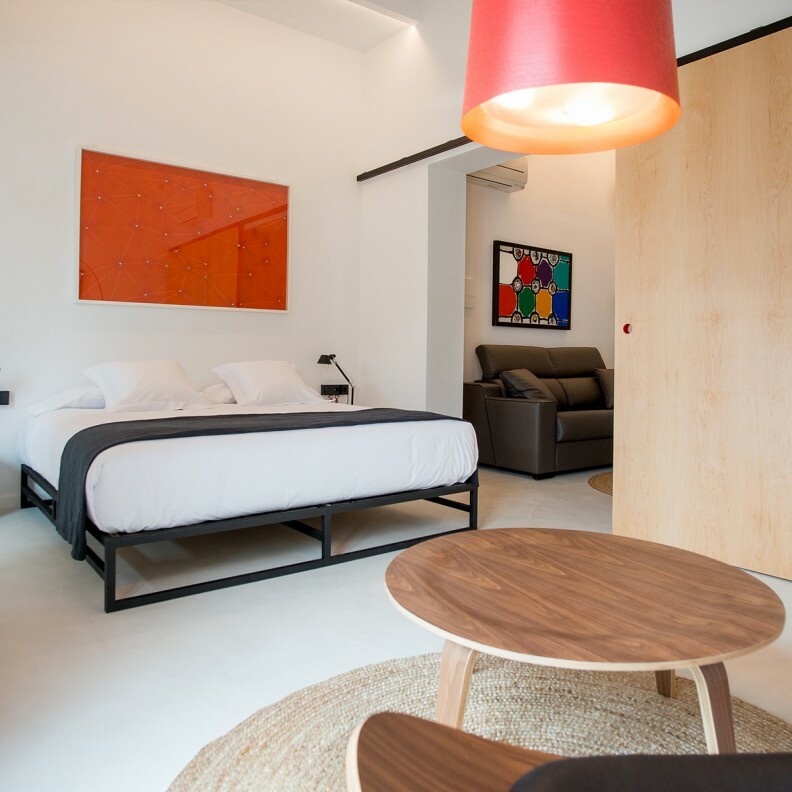 Measuring 35 square meters, the Sodio suite has a bedroom and a living room with a sofa bed where you can enjoy reading, calmly plan the day ahead or just take a break and relax. 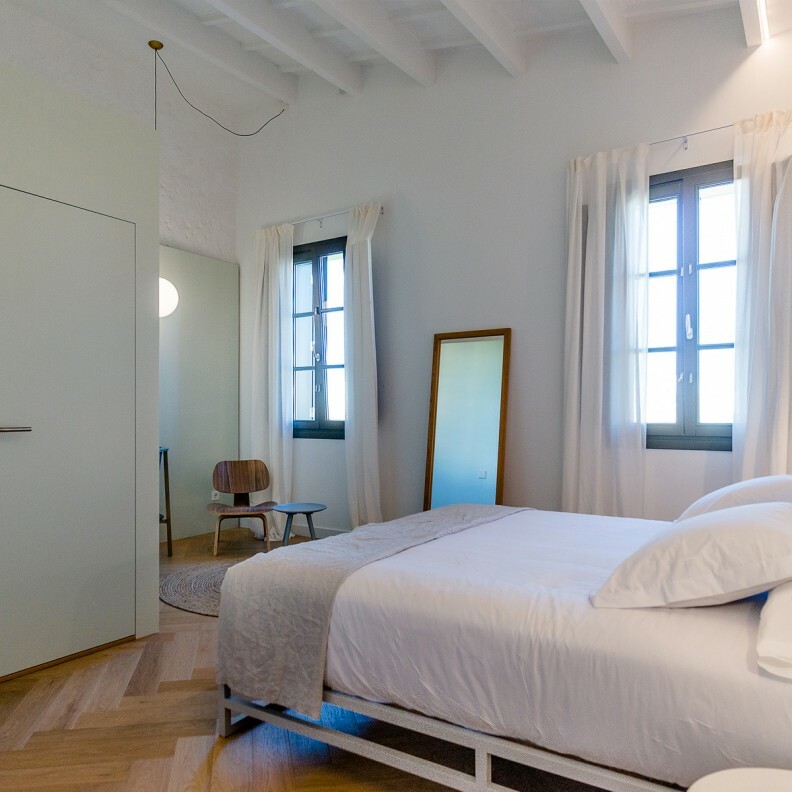 It is located on the second floor and has a quiet private terrace at the back of the building.